Teachers allegedly forced to take part in a rally in support of presidential candidate Vladimir Putin are being urged to phone a special hotline set up by the Russian Public Chamber. The chamber organized the free phone line for any teachers who might have faced pressure from their school authorities to participate in the gathering on February 4. 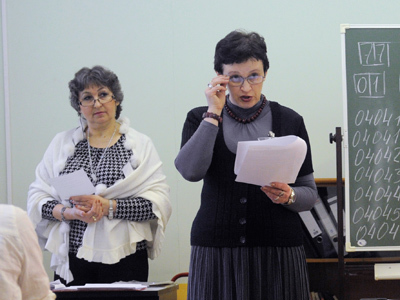 Earlier, Moscow’s Department of Education refuted media reports of the scandal. However, the topic is still being widely discussed on the internet. The line will operate until Saturday and if the chamber receives a large number of complaints from schoolteachers, its work will continue. Volkov vowed that the Public Chamber would respond to each individual complaint. 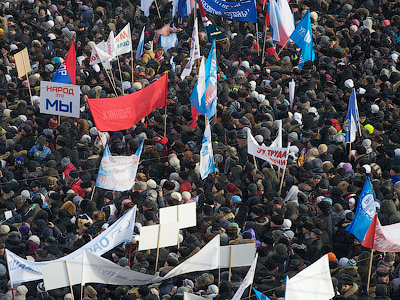 An opposition protest rally “For Fair Elections” is planned for next Saturday in Moscow and some other cities. A meeting in support of Putin, who is running for the presidency, will also be held in the capital on February 4. The media has carried reports that employees of some organizations, including the Russian Post and some private security firms, are being compelled to take part in the latter gathering.